In August 2017, Hurricane Harvey made landfall in the US, devastating communities along the country’s southern coastline. One of the hardest hit areas was Port Arthur, Texas, where record-breaking levels of rainfall resulted in the destruction of 75 percent of homes. The subsequent closure of many major businesses inflated the cost of goods and services, which only added to the mental stress being felt by residents. Despite the widespread damage, recovery efforts in Port Arthur were not implemented as quickly as in other parts of the US. Unfortunately, many efforts are still ongoing a year after the storm struck. This is why the Port Arthur Economic Development Corporation (Port Arthur EDC) remains committed to helping each and every individual that is still suffering from the devastating effects of Hurricane Harvey. In the immediate aftermath of the hurricane, it became clear that this was a natural disaster of monumental proportions. As such, the response from the US Government was prompt, acting swiftly to declare Port Arthur a disaster area. We received visits from the Governor of Texas, the Senate and a representative from the White House. 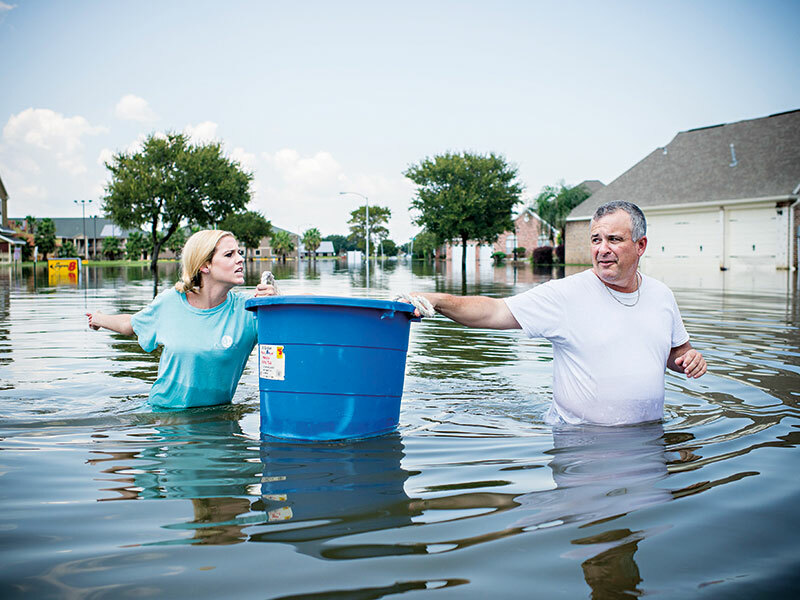 Meanwhile, our neighbouring state, Louisiana, sent out its Cajun Army to help rescue families in dire need. Exacerbating matters was the fact that only a small percentage of people in the Port Arthur area had flood insurance. The Federal Emergency Management Agency needed time to assess damaged properties, which forced some citizens to live in hotels. Ultimately, many homes were abandoned or sold. Faith-based organisations stepped in to help individuals in any way they could, but it will take time for many residents to fully recover from the disaster. When the storm hit, the community was initially lost and solemn, but at the same time it was grateful for life and family. The community has worked together for the greater good, with every citizen stepping up to help make a difference. Although the outlook on life is somewhat different and more humbling now in the Port Arthur community, there remains hope for the future. The devastation from the hurricane itself and the subsequent flooding that put most of Port Arthur underwater knocked many businesses out of commission – and more than a few completely out of existence. At the Port Arthur EDC, we are offering a number of programmes to help small and medium-sized businesses get back on their feet. Two weeks after the storm hit, Port Arthur EDC conducted a door-to-door survey to assess the condition of the area’s local businesses. As a result of this survey, our board of directors established a microloan programme to assist the recovery of small businesses that did not have flood insurance. The board also applied to receive additional funds from the Texas General Land Office’s Economic Revitalisation Programme, which provides interim assistance to businesses through deferred forgivable loans and funding for job creation or retention schemes. Despite the efforts of individuals and local businesses to rebuild Port Arthur’s damaged economy, more work still needs to be done. At Port Arthur EDC, our plans for the future include the revitalisation of the city’s downtown area, the creation of a citywide emergency operation centre and the strengthening of partnerships with the oil and gas industry, as well as the education sector. Collectively, we believe that we can help with more than just the area’s ongoing recovery: we can help it to be more resilient next time disaster strikes.